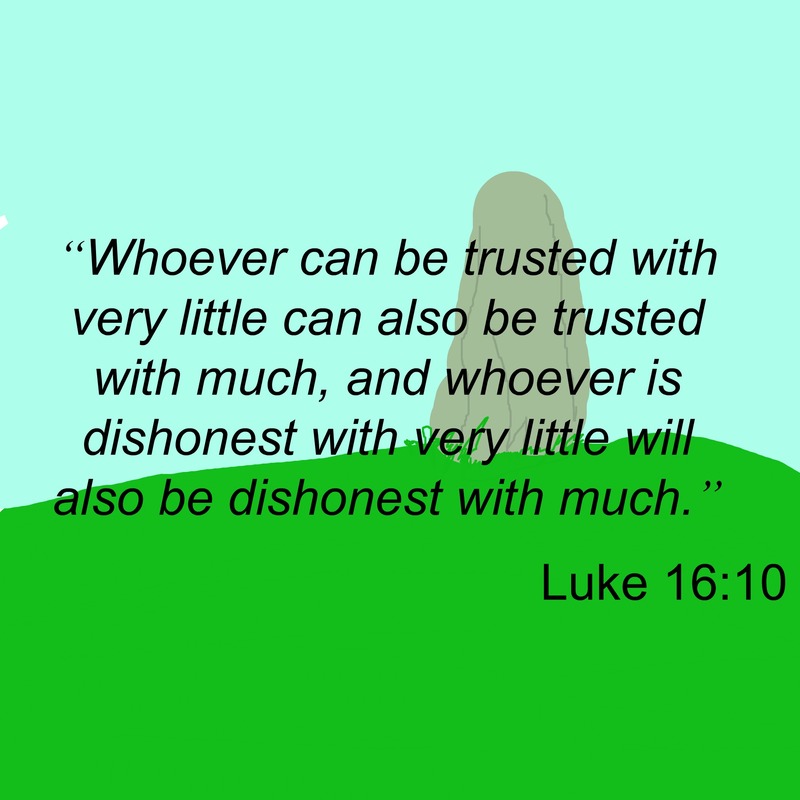 “Whoever can be trusted with very little can also be trusted with much, and whoever is dishonest with very little will also be dishonest with much.” (Luke 16:10). Throughout your life there will be people in leadership positions you’ll look to, entrust in part of your wellbeing and future. Some leaders we are involved in selecting. A great way to determine a leader is to look at what they do with what they already have. How do they take care of what they have? What are the results of what they have? Do they always try to put their best foot forward for the good of those they are leading? The amazing thing about this day and age is we can see into every facet of a person’s life. There is very little anyone can hide. I’m not sure if that is a good thing or not, even for someone wanting to be a leader. People make mistakes in their private lives. What they do with their public lives is another matter. If a person has a history of dishonesty and disaster on one level of leadership, why would we think there would not be blunders at a higher level of leadership?